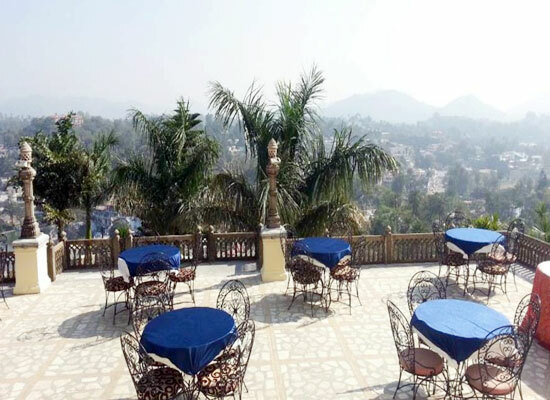 "The Jaipur House Hotel Mount Abu is located amidst the Aravalli hills overlooking the popular Nakki Lake. 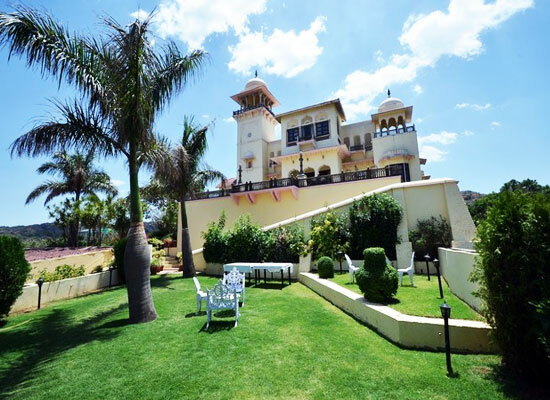 This beautiful heritage hill resort is praised for providing excellent accommodation with the perfect mix of modern comforts and exceptional services. Easy accessibility and tranquil atmosphere are some of the major factors that make the resort a sought-after accommodation choice in Jaipur city of Rajasthan. In 1897, The Jaipur House was built by the Maharaja of Jaipur, as a summer retreat. The beautiful structure was constructed according to the Rajput architectural style. 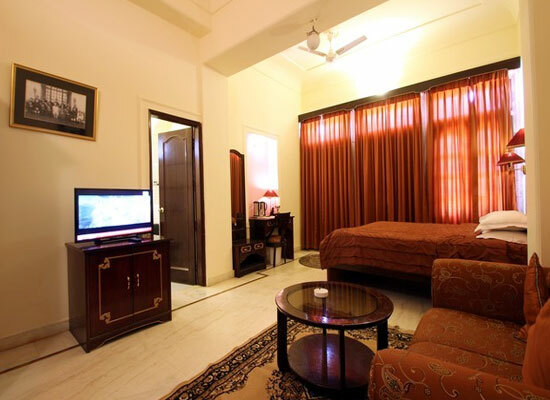 Later the property was converted into a luxurious heritage hotel to provide accommodation to the guests visiting Jaipur. The interiors and exteriors of the resort leave the onlooker amazed. To meet the specific requirements of the guests, the suites are categorized as the Royal Suites (1), Junior Suites (4) and Suites (4) and Standard Room (14). Well-furnished and spacious are the major attributes of the suites. In addition to this, to ascertain comfort at par, a perfect mix of modern comforts, facilities and services is equipped in every room. Further, to reflect the old world charm, the rooms are adorned with antique furniture, chandeliers, and the carpets. Various rare portraits are also available that enhance the element of heritage, thus, worthy to be remembered by its guests. The heritage hotel is praised for serving delectable food to the guests. The in-house terrace restaurant specializes in serving Punjabi, Chinese and Continental Cuisines. The quality is at par and the guests praise the dining facility. Professional chefs are appointed to prepare the cuisines and provide a pampering experience for the guests. Mount Abu is one of the favorite destinations to travel as it features lakes, rivers and forests. Thus, the hill town is dubbed as the Oasis of Desert. Tourists from all parts of the globe visit Mount Abu for a memorable trip. Thus, to enhance the experience, there are numerous heritage hotels of India, praised for excellent accommodation facility, blended with comfort and royalty.